Records of the Common Swift from Africa are not common. We know that they range from South of the Sahara (Moreau 1972) to the North of the Oranje River in South Africa (Newman 1992). We do not know whether they follow any set pattern of behaviour in their wintering areas, such as always migrating by the same route or showing a preference for a particular type of habitat. They will without doubt avoid places with few or no flying insects, because they are dependent on this resource for their food. Tommy Pedersen lived and worked as a pilot in the Democratic Republic of the Congo (DRC) for four and a half years, and systematically recorded the birds that he saw. This list contains the first continuous records of the Common Swift (Apus apus) in Africa, all from the DRC. 2479 individual Swifts were seen in 54 observations over a period of four and a half years. February is the period of the greatest number of Spring observations, but March shows the greatest number of individual Swifts seen. October shows the largest number of Autumn observations and individual birds seen. 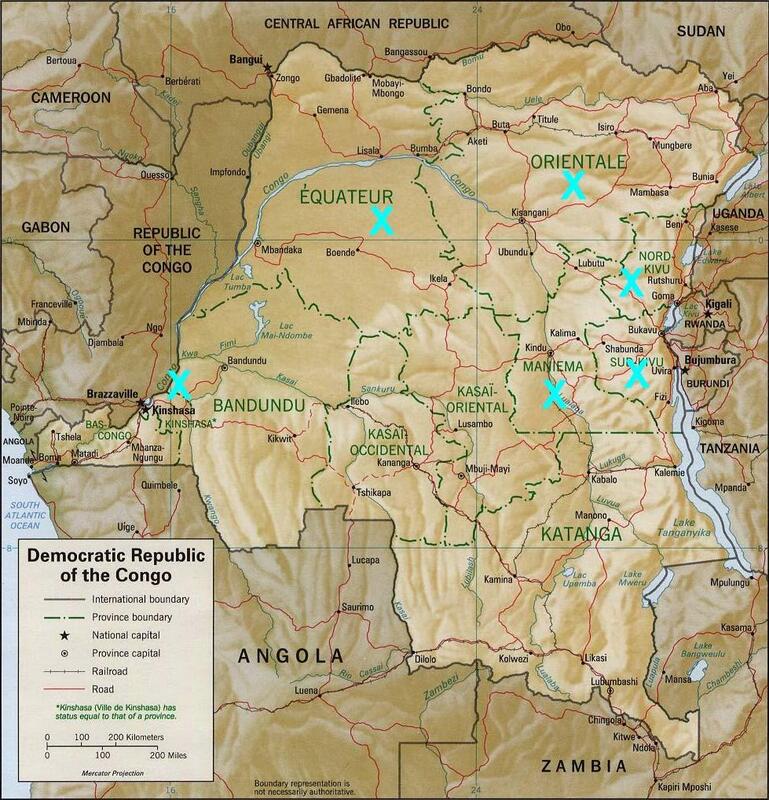 The irregularity of the sightings and counts (few Spring sightings in 1994 and 1995, no sightings in 1996, few sightings in Autumn1992, and none in 1995) give the impression that there are no set patterns for Common Swifts passing through the DRC. However, the author moved from place to place and did not record any negative sightings/dates, so that the data available is valuable only for the place and time that are mentioned. Fig 1: Map of the locations of Common Swift observations. Common Swifts were recorded in the areas marked with an X. Table A: Common Swift – Chart showing numbers of observations and individual birds noted by month and year. Fig 2: Graph showing individuals observed and observations made. The number of individuals does not necessarily correspond with the number of observations. 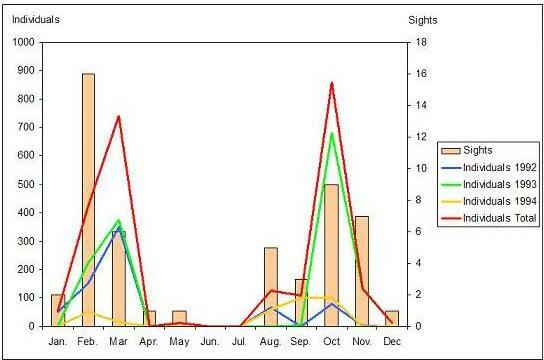 Except for the month of June, Swifts were present in the DRC all year, but in markedly differing numbers. Table 1: Recorded observations of the Common Swift in the DRC.